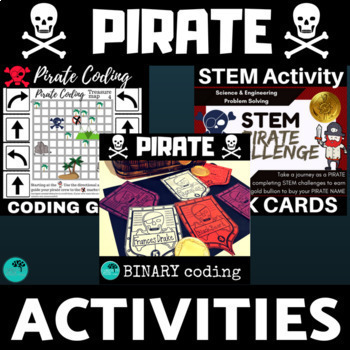 Pirate activities to keep students engaged in unplugged coding and STEM challenges. 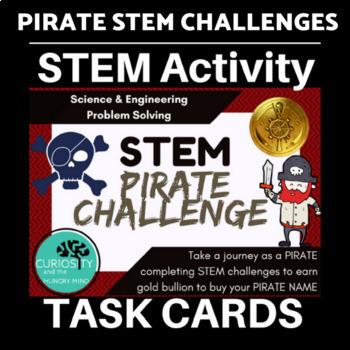 Students can earn GOLD BULLION or a STAMP in their PIRATE BOOKLET by completing different activities based on different items needed to be a pirate. 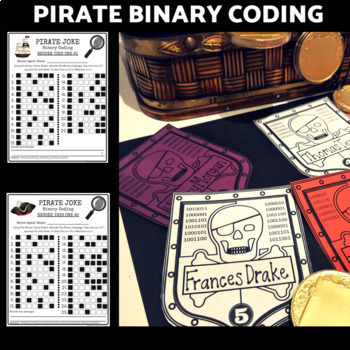 This resource introduces students to the coding methods of Binary. Students will learn the 'on' and 'off' method of Binary while exploring the activities. Perfect for problem solving or STEM time in the classroom. 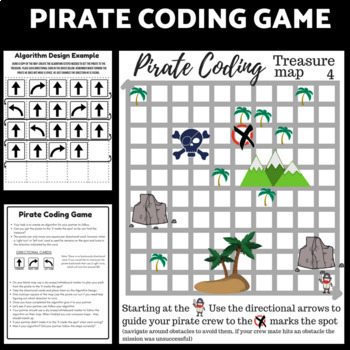 Unplugged Coding Activity for Pirates - Students will be engaged with this simple introduction to block-style coding. This style of coding is called "unplugged" programming without computers. CURIOSITY and the HUNGRY MIND and get notifications of new product. Did you know that you can receive credit toward future TpT purchases by reviewing this product? If you enjoy this product, please leave a review at the product page or through "My Purchases" under "My Account" at TpT.